Nixa Hardware & Seed has one of the largest selections of Carhartt work wear in southwest Missouri. 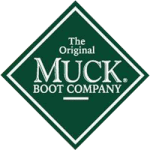 We guarantee the best price on our full line of work wear which includes Key, Wrangler, Georgia boots, and Carhartt boots. Nixa Hardware offers a flexible lay-away program that allows you to put your size and style on hold for a period of time. For a 100 years, Key Industries has been offering quality work wear for one generation after another. You can be assured that every item in the Key line is designed to last through the toughest conditions. Key clothing is: Tough, Durable, Great Fitting, Loaded with Features and an Awesome Price. There is way too much work to be done for any hard working person to worry about their work boots holding up. WithGeorgia boots you don’t have to worry. We guarantee premium level quality that is project tested to withstand a grit man’s force. With our replaceable Goodyear welt construction theseboots are longer lasting and can stay the course even after the soles have seen their better days. Take the brute strength test by buying one of our work boots today and see for yourself how tough we really are.